Close Up Of A Little Boy Playing With A Tambourine At School. Royalty Free Fotografie A Reklamní Fotografie. Image 60255491. Reklamní fotografie - Close up of a little boy playing with a tambourine at school. 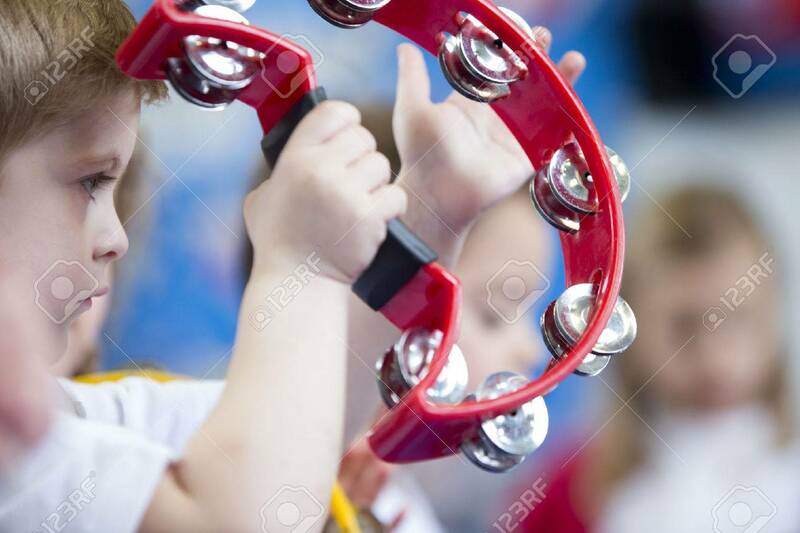 Close up of a little boy playing with a tambourine at school.